Most creative application of technology including telecare, telehealth, telecoaching: STAY (Sandwell Telecare Assisting You) and Red Embedded Systems Ltd. for their use of innovative video supporting those with learning disabilities. Receiving the award were our Contributing Editor Alasdair Morrison of STAY and Adam Hoare of Red Embedded. Enhancing lives through technology enabled services: Peninsula Community Health for their home-based telehealth solution addressing a spike in UTIs in their locality. An additional award for 2013 Overall Winner, signifying the highest level of excellence across all three categories, was awarded to Peninsula Community Health. More information on the awards and judging panel in their release (PDF)–and click the headline to view comments. Hat tip to the TSA’s Mark Leivesley for the updates. Tags: Peninsula Community Health, Red Embedded, Stafford and Rural Homes, STAY, Telecare Services Association, and TSA. Congratulations to our own Alasdair Morrison! well done. Congratulations to all those nominated for an award, and especially to the winners. Is it my imagination or was the TSA conference more low key this year? 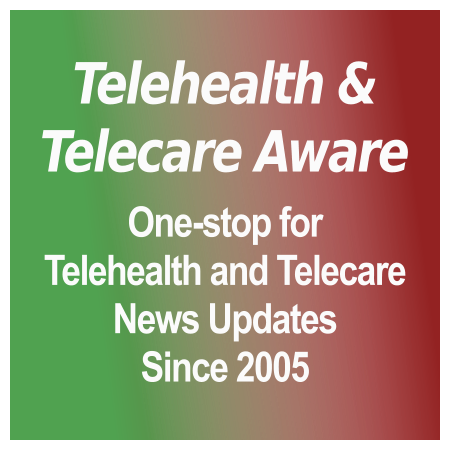 I certainly haven’t seen any stories or coverage on Telecare Aware. Are the editors trying to ensure that they offer a balanced view of conferences bearing in mind that the HSJ Telehealth conference takes place in London on November 20th followed by the RAATE conference at the University of Warwick on November 25th while the Royal Society of Medicine’s Telemedicine & eHealth 2013 Conference: Ageing Well – how can technology help? takes place on November 25th and 26th. Will so many conferences over a short period of time lead to competition for delegates and speakers, and an improvement in quality, or will it give the usual suspects opportunities to roll out the same presentations? We welcome comments on TSA–here is a good place and if we have substantial ones I’ll draw attention via the main article. FYI, Charles Lowe has recently written up items on the Rural Health Conference and the European Telehealth Conference in Edinburgh. I just did a short article on the HSJ Awards shortlist. Please don’t see my remarks as criticism – I very much admire and value the contributions of the Telecare Aware Editorial team. I guess that I was sort of questioning the role of conferences in the new connected world where we are exposed to information and spin 24/7 without going near any conference centres. The cost of organising and attending conferences continues to increase, while few organisations can afford to spend money unless there are obvious and many benefits. Will conferences be replaced by webinars and other on-line events? Will new policy statements by government ministers or NHS chiefs be delayed until they are invited to address an appropriate conference? Will researchers hold back their latest results for a good conference, or will they be posted on-line as soon as they are ready? Things seem to be changing – and technology is certainly a facilitator. It would be perverse if we all promote technology-enabled health services but do not then promote new ways of spreading the word. Will there be 3 or 4 telehealth conferences in November in the UK next year? Or what about in 5 years? Kevin, as always you bring up several interesting points. I’ll draw a difference between the UK and the US. Here there seem to be more conferences and meetings than ever. 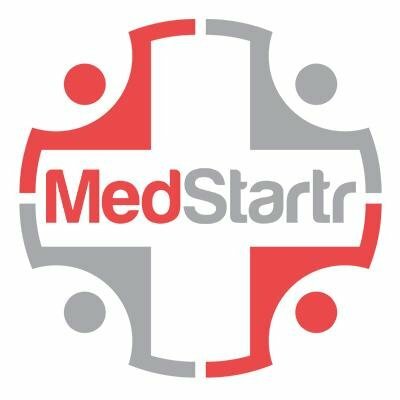 There are still the ‘tentpole’ majors, such as Health 2.0 in San Francisco, HIMSS and ATA, where I understand attendance (to your point) has leveled off. Others faltered (Mobile Health Expo), stayed small (WLSA Convergence) or have succeeded as part of a larger event like International CES (Digital Health Summit). In the same time, the mHealth Summit in Washington DC has grown to a massive 4 day event (organized by HIMSS) and the NYeC DHC is now a solid and full two days (New York, like London, is attractive yet ridiculously expensive for conferences). Twitter and video (some live, mostly post event) figure prominently in most of these meetings. The content has also broadened–data analysis, ‘big data’, IT, health systems, pharma, mHealth, wireless, startups, accelerators, and of course government. Local or university event series tend to take up the gap in many cities; in NYC we have Health 2.0 NYC, Health Business Leaders and on occasion, the German Center and the MIT Enterprise Forum. So if anything, there’s more than ever…the buzzy cocktail parties have to be somewhere! Awards ceremonies at conferences are a valuable encouragement to service providers and suppliers. But what impact do they have on increasing public awareness of what’s available? Conferences and Exhibitions have many functions, including raising significant revenue for the organisers. The primary funding for such events comes from the manufacturers and service providers who are sponsors and exhibitors. In the current economic climate, they surely must question the value for money they receive, and whether such events are cost effective. At UK Telehealthcare we have found that our free MarketPlace Events such as the latest one held last week at Poole, Dorset, offer a real alternative to the large scale ‘national’ events – which many of our members see as unaffordable, involving travel and attendant hotel costs. Our visitors were impressed with the equipment and services on offer from over 30 companies, who in turn reported more enquiries and leads in 3 hours than they get from a three day exhibition. We also believe that these smaller-scale regional events gain greater public awareness, and generate more co-operation between local service providers. This year alone we have organised MarketPlaces at Walthamstow, Brighton and Hove, Crawley and Poole, as well as taking part in a similar event at Salford. Public awareness of telecare and telehealth services is still far too low, and funding by central government is long overdue.